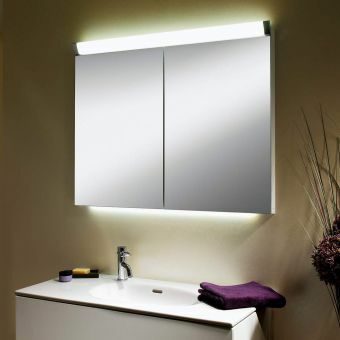 Carefully arranged to illuminate both the exterior and the inside of the cabinet, the side mounted fluorescent lights provide ample lighting, and a cool ambience to the wash area. 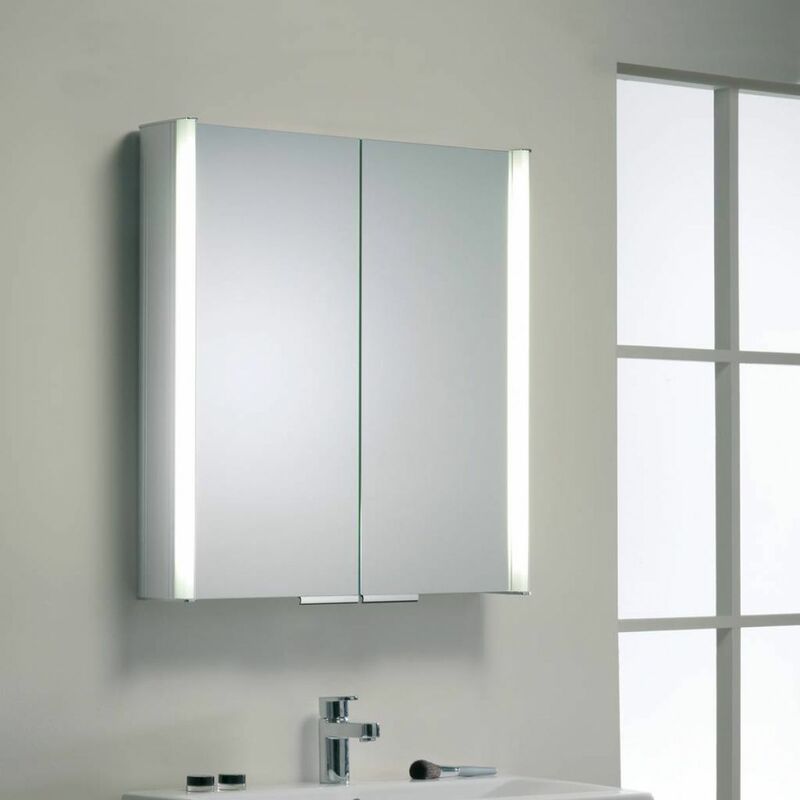 Fitted with soft close, mirrored doors and flanked with light, this cabinet is a stunning blend of modern materials. 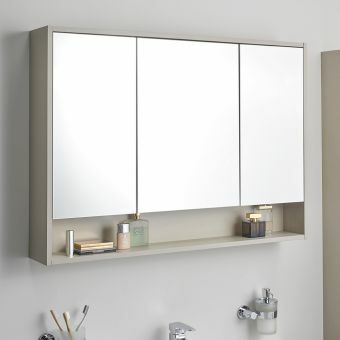 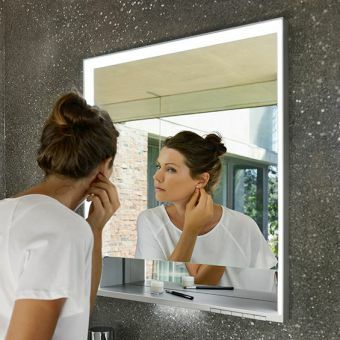 Inside, adjustable glass shelves allow the user to arrange the interior as required, while the inclusion of socket for electric toothbrush or razor adds another touch of convenience. 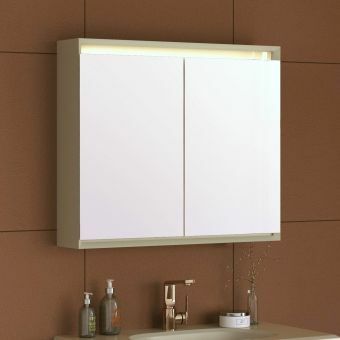 Available in white or aluminium finishes, this cabinet fits in easily with contemporary colour schemes. 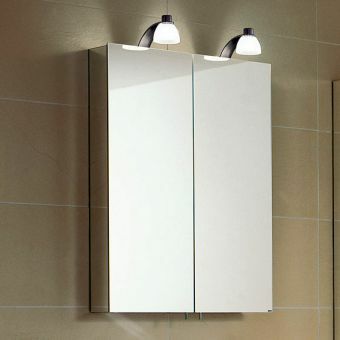 This cabinet uses 2 x 15 Watt T2 fluorescent tubes, and is safety rated IP44 for inclusion within the bathroom environment. 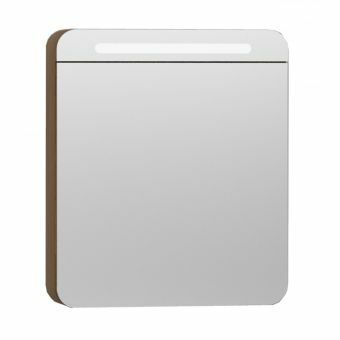 Please note that the right hand mounted infra red switch requires at least 150mm clearance from surrounding walls in order to function. 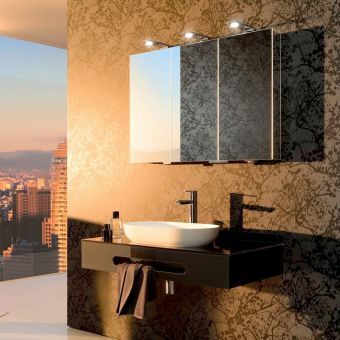 Unit measures 654mm wide, 700mm in height and 134mm in depth.